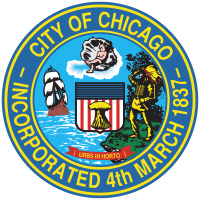 This dataset serves as a lookup table to determine if environmental records exist in a Chicago Department of Public Health (CDPH) environmental dataset for a given address. MAPPED LOCATION: Contains the address, city, state and latitude/longitude coordinates of the facility. In instances where the facility address is a range, the lower number (the value in the “Street Number From” column) is used. For example, for the range address 1000-1005 S Wabash Ave, the Mapped Location would be 1000 S Wabash Ave. The latitude/longitude coordinate is determined through the Chicago Open Data Portal’s geocoding process. Addresses that fail to geocode are assigned the coordinates 41.88415000022252°, -87.63241000012124°.This coordinate is located approximately just south of the intersection of W Randolph and N LaSalle. COMPLAINTS: A ‘Y’ indicates that one or more records exist in the CDPH Environmental Complaints dataset. NESHAPS & DEMOLITON NOTICES: A ‘Y’ indicates that one or more records exist in the CDPH Asbestos and Demolition Notification dataset. ENFORCEMENT: A ‘Y’ indicates that one or more records exist in the CDPH Environmental Enforcement dataset. INSPECTIONS: A ‘Y’ indicates that one or more records exist in the CDPH Environmental Inspections dataset. PERMITS: A ‘Y’ indicates that one or more records exist in the CDPH Environmental Permits dataset. TANKS: A ‘Y’ indicates that one or more records exist in the CDPH Storage Tanks dataset. Each 'Y' is a clickable link that will download the corresponding records in CSV format.